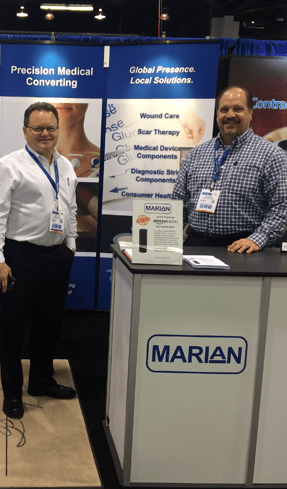 Marian will, once again, be exhibiting at this year’s MD&M West Show. Join us from Tuesday, February 6th – Thursday, February 8th in Anaheim, CA for one of the most anticipated medical tradeshows of the year. Visit us at booth #3341 and see how we can help you with your medical device needs. As leaders in the industry, we look forward to discussing our innovative capabilities for skin contact and medical device applications. We’ll have sample pieces to look at, literature to send with you, and material experts to answer any of your questions. View the full floor plan and make sure to stop by our booth. We look forward to learning how Marian can help you with your solutions! Register now to save your FREE spot at the 2018 MD&M show and learn more about attending. In the meantime, if you still have questions, contact us and we’ll be happy to get in touch with you.